Kids love spending time outside no matter if it is summer or winter, hot or cold weather. Their energy can be envious but safety is our first priority. While the shiny sun brings lots of excitement, the sun exposure can be dangerous and harmful to our skin if do not take proper ways to protect it. When it comes to baby and child skin, using a sun screen is a must especially when children are exposed to the sun during vacation time, travelling or playing outside. Even during winter months our skin is sensitive to sun and has to be protected. There are lots of varieties of sunscreen products on the market and recently we were offered to try Sun'n'Fun Broad Spectrum SPF30 Sunscreen for Kids. First, what we liked about this product and, always consider when buying skincare for kids, is that Sun'n'Fun Broad Spectrum SPF30 Sunscreen for Kids is natural, toxin-free and paraben-free sunscreen and contains organic ingredients like marshmallow, grapeseed and raspberry rich with vitamin C. Second, it is chemical-free mineral based with hydrating and moisturizing features providing UVA & UVB protection. We also like that Sun'n'Fun Broad Spectrum SPF30 is anti-irritant and anti-inflammatory thanks to green tea and tamanu oil which is perfect for kid’s sensitive skin. Third, the sunscreen has soothing and moisturizing features to protect and nourish delicate kids’ skin to avoid dryness and eczema. And finally, that amazing chocolate smell Teddy loves it so much, the smell when you enter a chocolate store or Italian chocolate gelato as our kid noticed. In winter Teddy does not need much sunscreen to apply, mostly for face when playing outside or go skiing, just a few drops are enough. 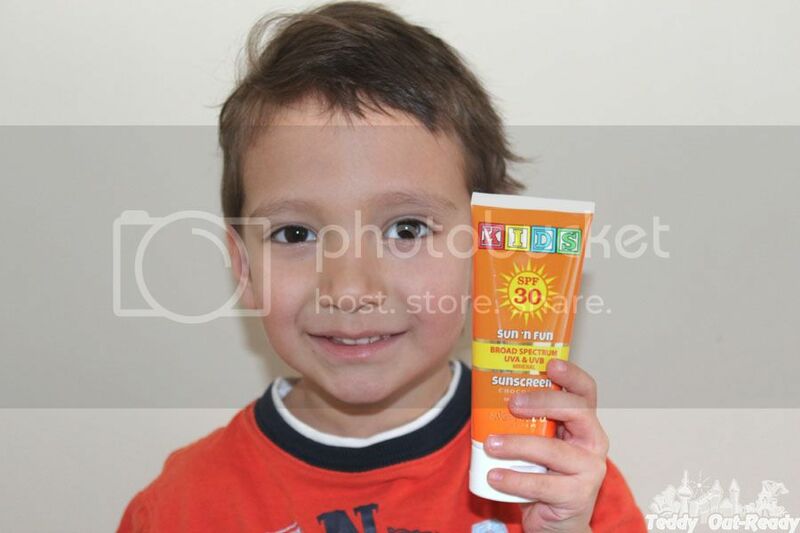 Sun'n'Fun Broad Spectrum SPF30 Sunscreen for Kids protects and moisturizes kid’s skin very well. The size 100ml is perfect to take with you when travelling or going on vacation to a sunny destination. Now the sunscreen for kids item checked out, it is time to think about what warm place with sunny beaches we want to visit next and do not wait until summer time. The right skin protection is already in our hands!